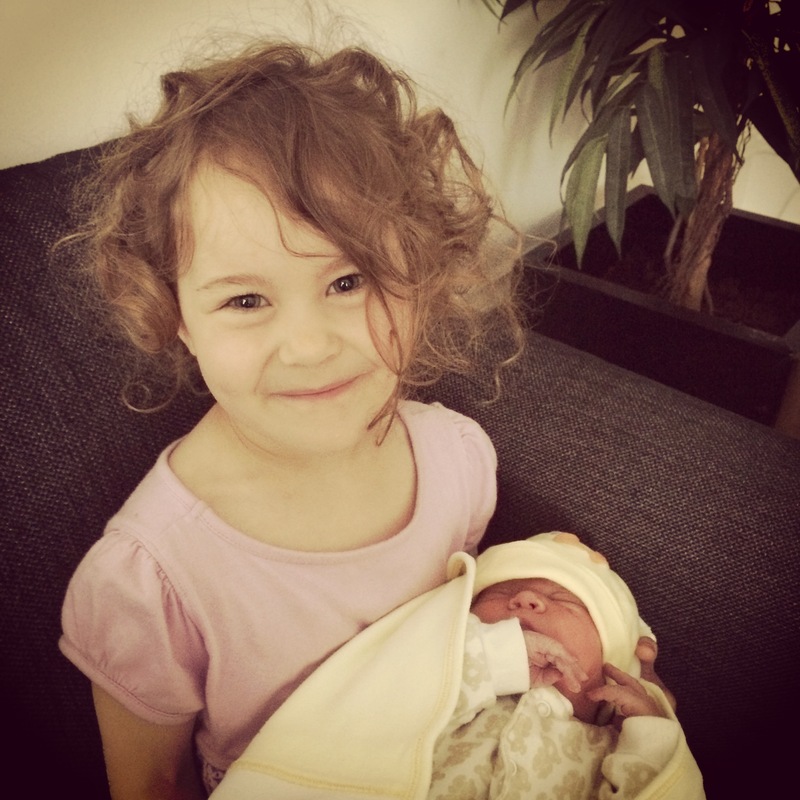 On 29 June, our family welcomed our third child — and our second child born in Denmark — to the world. The experience of giving birth again in Denmark solidified my feeling that this is a fantastic place to have a baby (it does, in fact, consistently rank in the top 5 or 10 best places to give birth), so I thought I would share a few of the reasons why I particularly like Danish deliveries. A quick disclaimer: This post is not intended to endorse any one type or style of childbirth over another. I have a simple philosophy when it comes to labor and delivery, namely that the main goal is to end up with a healthy baby and mother. However that goal is achieved, I think all mothers deserve huge credit and accolades for bringing a new life into the world. 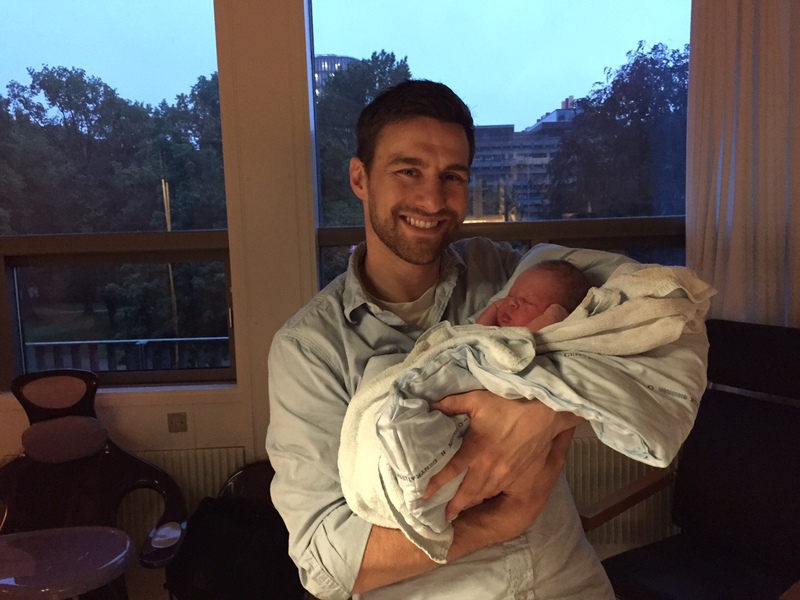 1) With a strong socialized health care system, giving birth in Denmark is a beautifully streamlined process. If you are expecting and have a Danish CPR number (the equivalent of a social security number), you can basically go on auto-pilot after the first appointment you schedule with your doctor to confirm your pregnancy. You get assigned to a midwife practice, they schedule all of your appointments and notify you via the convenient digital system that almost everyone uses in Denmark, they “enroll” you at a nearby hospital, and they track your progress in a little “journal”, one that is used by virtually every midwife for every expectant mother in Denmark. When I gave birth to my son in Washington, DC, I remember feeling slightly overwhelmed by having to select a doctor, determine where I wanted to deliver, keep track of all the various appointments, etc. For a person like me, who doesn’t want to have to make a lot of decisions related to health care for pregnancy and childbirth, the Danish system is a dream. Now, I should say that I have only had fantastic experiences with the midwives who have been randomly assigned to me and with the one hospital (Rigshospitalet in Copenhagen) that I’ve delivered at. I imagine there is some variation in terms of quality and experience across the country, but mine has certainly been top-notch. I will also say that it’s almost comical to try to navigate the Danish system without having a CPR number. I couldn’t reactivate mine for several weeks after we have arrived because we were waiting for our visas, and it was ridiculous trying to deal with the system without being officially part of it. So, word to the wise, having a baby in Denmark is only a good idea if you’re actually in the system. 2) Having a baby in Denmark means less poking and prodding. From the first doctor’s visit to the moment of holding a new baby in my arms, I have found the Danish style of pregnancy and childbirth to involve far fewer needles, tests, intrusive exams, and various other medical procedures. In contrast, I remember being poked and prodded with much greater frequency when I was pregnant with my son in the U.S., or even during the first few months of this most recent pregnancy when I was still living in DC. Again, I should make sure to state clearly that I have been fortunate to have very straightforward, healthy pregnancies without complications. I’m sure that under different circumstances I would have been grateful for the abundance of extra measures taken by U.S. doctors, but I do like the slightly less “medicalized” process of having a baby in Denmark. This, of course, extends to a strong cultural preference for natural childbirth. I can clearly remember having my second child (the Mafia Princess) in 2011 at Rigshospitalet. I had chosen to have an epidural with my son, and it had been a relatively good experience, but I was undecided — even as I arrived at the hospital — about whether I wanted to try delivering without one this time. My Viking midwife Helle nodded as she listened to me mull aloud over the two options, then promptly informed me that I didn’t need an epidural. When I countered that I might want one, regardless of need, she told me that it was too early to get one. Given that my daughter was born about two hours after arriving to the hospital, you can imagine that by the time I pressed Helle again for the epidural I was told that it was far too late for that. In all honesty, I was grateful to Helle because it turns out that I much prefer natural childbirth. I don’t love the extra pain (and there is A LOT of it! ), but I do love how much faster I seem to recover without the epidural. As someone who has intense but very short labors, I am grateful that the Danish style of delivery favors doing it without an epidural, though I do know plenty of Danish women who have gotten epidurals, too. Being able to surprise our children with their new sister…they had no idea we had ever left the night before because they had been fast asleep! Being able to go to the beach the very next day to enjoy the gorgeous summer weather — that was still the only week this summer that has been genuinely hot and perfect for the beach. The post-delivery meal in Denmark includes toast, jam, cheese, orange slices, juice, tea and, of course, a Danish flag. You can’t celebrate a birthday in Denmark without one! 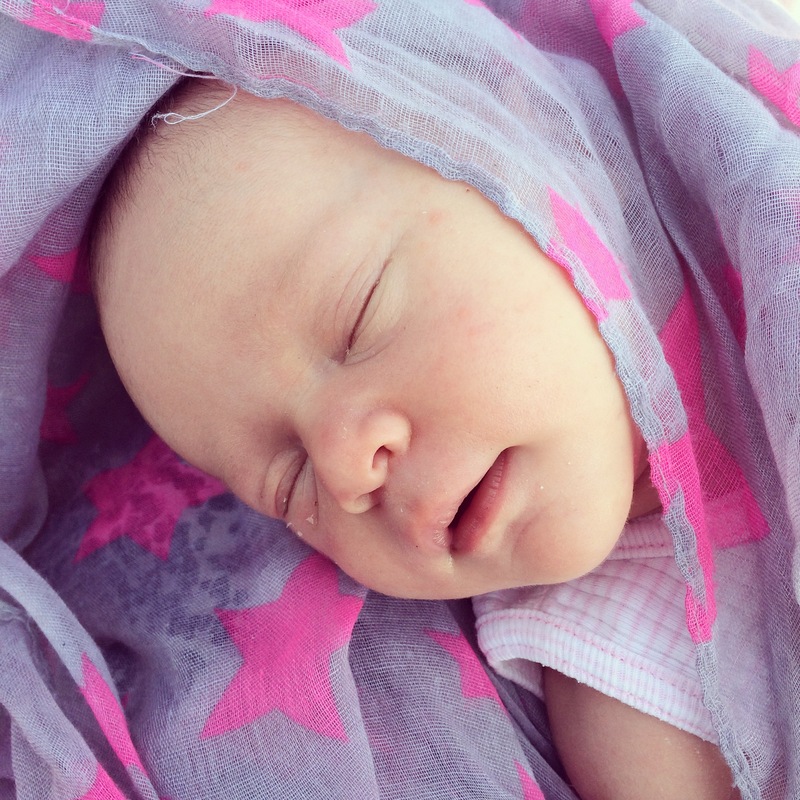 The baby was born at 3am but, thanks to the long summer days in Scandinavia, the sun was soon rising to welcome her. Our older two kids were surprised and elated to wake up and find that they had a new baby sister. The day after the baby was born we headed to a lovely beach up the coast. 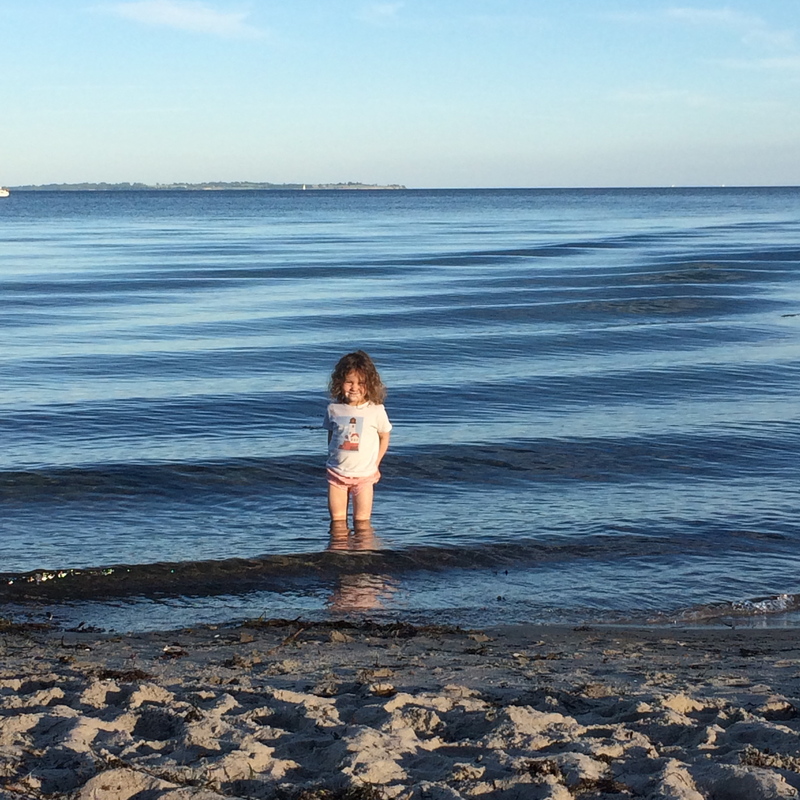 It’s never too early to start cultivating a love of the beach, am I right? I guess I need to have babies in Denmark–it sounds magical. I still need to meet her via google hang out or something! Congratulations on a successful delivery and a healthy baby. By coincidence, I found your blog and noticed I had the same midwife Runa (I assume there’s only one Runa at Riget), when my first son was born in 2013. She’s a absolutely amazing. Being a Dane residing abroad (Brussels), it’s so nice to read about my hometown:) I also lived in DC some years back, so your perspective makes perfectly sense to me. Thanks for sharing, thanks for a good blog.